When it comes to getting quality sleep, choosing the correct mattress for your needs is of paramount importance. Although the correct mattress is crucial to achieving optimum comfort, many people continue to sleep on the same mattress for far too long, without considering that there might be a better product for them. Buying the correct mattress is a major decision, and purchasing one that doesn’t meet your needs can lead to restless slumber and even sore joints upon waking. Also, the price range can be extremely varied, ranging from budget options to luxury items costing thousands. However, with so much choice out there, how do you make this all-important decision? We understand that choosing the right mattress for you can be a daunting decision, and that’s why we’ve created this in-depth mattress buying guide. Once you’ve read all our helpful tips and hints, you’ll be ready to hit the shops to purchase with complete confidence. So however you sleep and whatever your needs, read on to discover how to purchase the perfect mattress for you. Firstly, you’ll want to identify the best mattress filling for your needs. When you’re making this key decision, there are various factors you’ll need to consider. Not least is your budget, as some mattress fillings are much more affordable that others. However, you will also need to bear in mind that you may have particular needs that make a certain type of mattress more suitable than others. For instance, people who suffer from chronic joint pain should make this a major factor in their decision making process. If this all sounds rather complicated, never fear. We’ve been working tirelessly to compile all the information you could possibly need to work out which type of mattress will give you the best sleep possible. Read on to discover more detail about each type. 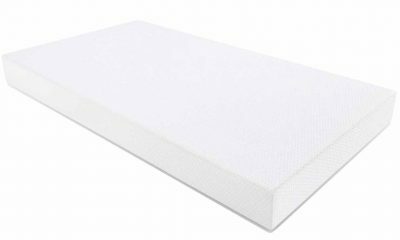 You may have been aware of a lot of positive press around memory foam mattresses, as they have become popular choices in recent years. As this type of mattress is quite different to other models on the market, it’s only natural that you would want to find out all the facts before taking the step of purchasing one for yourself. Firstly, you need to understand what makes memory foam so different to other types of mattress. In a nutshell, the mattress is made of a special foam that absorbs your bodyweight and conforms itself to your shape. As a result, many owners of memory foam mattresses say that it provides superior comfort to any other mattress type. In addition, some have even described experiencing a feeling of weightlessness when sleeping on their new mattress. 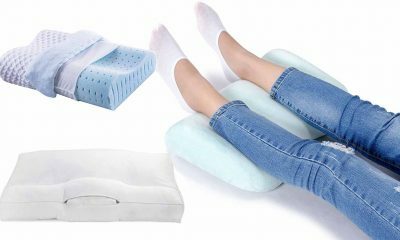 Also, the foam that the mattress is made from can relieve pressure on the joints, so it is very supportive and an excellent choice for people suffering from back pain. Not unlike the pocket sprung mattress, you will be less aware of the movement of your partner if you choose this type of mattress. However, there are some drawbacks to this type of mattress. 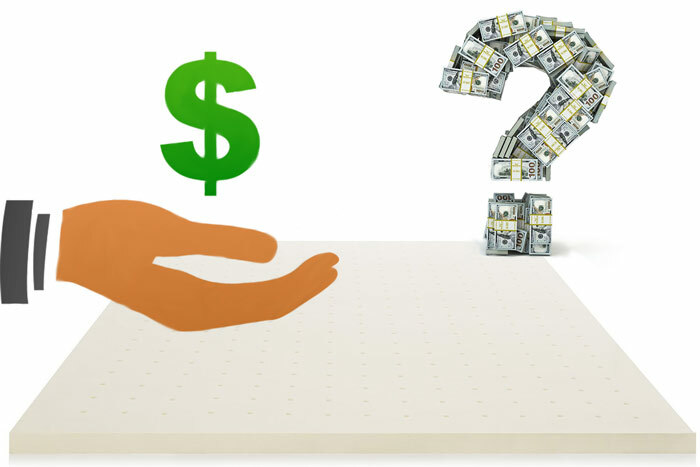 Although prices of memory foam mattresses are becoming cheaper as they become more widespread, many makes are still more expensive than other mattress types. That being said, memory foam mattresses will last a long time if you care for them properly, so your investment should last you for longer. Also, some users report that memory foam mattresses can feel hot to sleep on. Therefore, if you are somebody who struggles with the heat at night, or suffers from hot flashes, this may not be the best choice for you. A final point to consider is that, because the shape of the mattress changes with pressure, some people find them more difficult to get in and out of. This could prove a particular disadvantage for buyers who have mobility issues. Many people have never heard of latex mattresses, however for some people they may be an excellent and comfortable option. 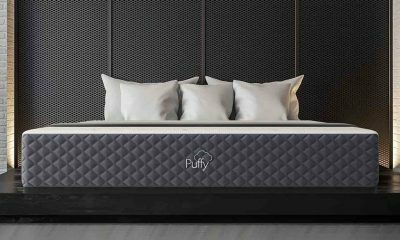 As the name suggests, these mattresses are filled with either natural or synthetic latex, however, some are filled with a combination of both. These combination mattresses are widely held to be the most durable. If you’re lucky enough to have a generous budget for your new mattress, a latex mattress may be on your shopping list as they are at the luxury end of the price range. You may be wondering if it’s worth spending extra money on a latex mattress, and there are several factors that may make it a superior option. Firstly, they offer an extremely supportive sleeping experience, and many customers have reported a reduction in joint pain after buying a latex mattress. Furthermore, unlike a memory foam mattress, you are less likely to feel too hot if you opt for latex. A fidgety partner shouldn’t cause you any problems either, as it will distribute your weight easily! Finally, as we mentioned above, combination latex mattresses are extremely durable, making for a potentially fantastic long-term investment. However, there is one factor that might discourage you from choosing latex. Some people find that the mattress is simply too firm to provide proper comfort, and this ultimately comes down to personal preference. 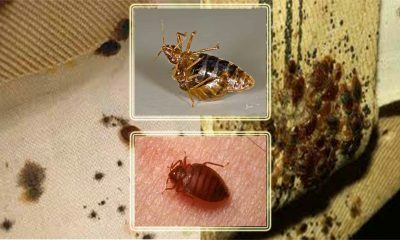 If you prefer snuggling down into a nice, soft mattress, this may not be the right choice for you. If you’re toying with the idea of a memory foam mattress but aren’t quite sure, a hybrid mattress could offer an excellent middle ground. These mattresses were designed with exactly this type of customer in mind, and allow you to dip your toe in the water without fully committing. These mattresses combine more than one method of supporting your weight, often springs and memory foam, to give you the best of both worlds. Also, it means that you get the support of your springs that you’re accustomed to, along with the contouring sensation of sleeping on memory foam. The dual support may be of particular benefit to people with joint problems. On the other hand, it is important to be aware of the potential drawbacks of hybrid mattresses. First, they are a very expensive option when it comes to buying a new mattress. If you’re shopping on a budget, you are unlikely to find a good-quality hybrid mattress that falls within your price range. Furthermore, due to their dual support systems, these mattresses are extremely heavy. While this may not pose a problem day to day, if you want to flip your mattress or move it to another room, this could pose a problem and is worth taking into account. If a cool sleeping experience is what you’re looking for, a gel mattress may be the answer to your prayers. These mattresses are the very latest in mattress technology, and have been getting a lot of positive reactions in the press recently. A gel mattress includes either a layer of gel, or gel incorporated into the foam of the mattress. These mattresses were developed to solve the issue of overheating in memory foam mattresses, and the technology works in a similar way to a gel cool pack, in that they absorb heat from their surroundings, in order to lead to a cooler sleeping experience. So, a gel mattress may be a fantastic option if you find yourself overheating at night. That being said, there have been concerns raised about how long-lasting the gel in these mattresses will prove to be. As the technology is very new, it is hard to say whether the mattresses will be durable over time. 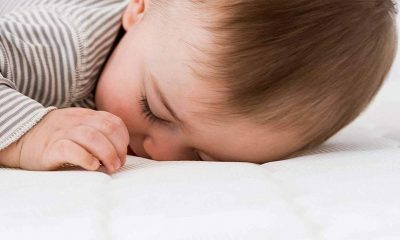 If you are hoping to make a purchase that you can be sure will last you for many years, a gel mattress could be a risky option. Incredibly, this type of mattress allows full firmness customization. Although being more expensive, a great advantage of this type of mattress is that it can be changed according to how you are most comfortable on a particular night. The mattress consists of an air chamber, surrounded by layers of other materials such as memory foam. In addition, many new models allow you to inflate different halves of the bed to a different firmness. As a result, if you and your partner have very different needs in terms of mattress firmness, this may be the solution to your problem. If you have houseguests, it also allows them to sleep on a mattress that suits their needs even for one night. However, a drawback of this type of bed is that the pump that supplies the air can be very noisy. If you’re inflating your bed during the day or before going to sleep, then of course this shouldn’t cause an issue. However, if you wish to adjust the bed during the night, this could cause a problem and should be taken into consideration. If you’re hoping to stick to a tight budget, open coil mattresses may be the best choice for you. 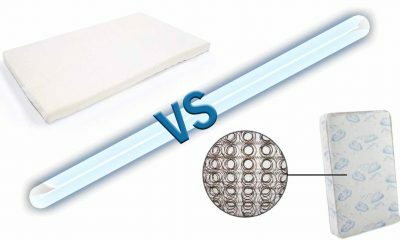 Made from a network of connected springs, these mattresses are relatively cheap to mass manufacture. As a result, this type of mattress will be the easiest on your wallet. 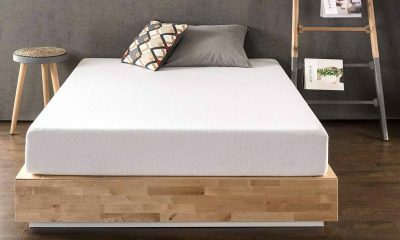 Chances are you’ve already experienced sleeping on an open coil mattress, as they are the most common type of mattress on the market today. 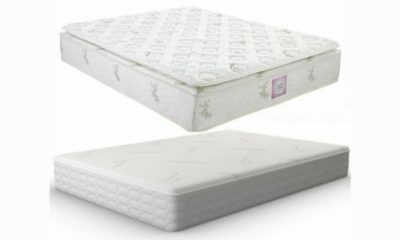 In addition, these mattresses come in a variety of firmness options, which is determined by the thickness of the springs. 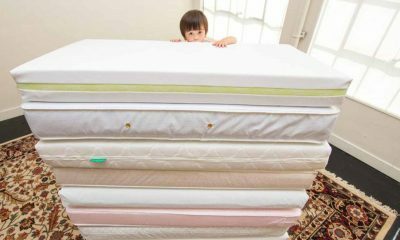 If you’re considering an open coil mattress, you may be wondering what the advantages of the product may be. Despite being a cheaper option, they provide a supportive sleeping experience. As a result, they are an excellent choice for people with joint problems. They are also lighter than other forms of mattresses, so if you are concerned about being able to move and turn your mattress, this could be a good selection to make. However, there are drawbacks to the open coil mattress which must also be taken into consideration. After several years of use, they can form a dip in the middle as a result of constant use. If you are sharing your bed with a partner, you may find that you are more aware of their movements on an open coil mattress than another type. So if you’re a light sleeper, you may find that another mattress might suit you better. Pocket sprung mattresses have a reputation for being a more luxurious option. 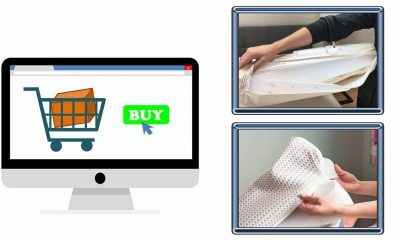 Instead of working on an interconnected system like an open coil mattress, a pocket sprung mattress consists of many separate springs sewn into individual pockets. However, these mattresses can be bought at reasonably affordable prices from many retailers, and many customers feel they are still good value for money. Not unlike the open coil mattress, the springs in a pocket sprung mattress provide excellent support for people who suffer with any kind of joint discomfort. 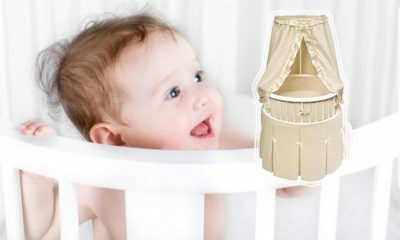 However, the pocket sprung mattress offers some key advantages. As the springs are independent of each other, the mattress will not develop dips over time and should hold its shape for longer. 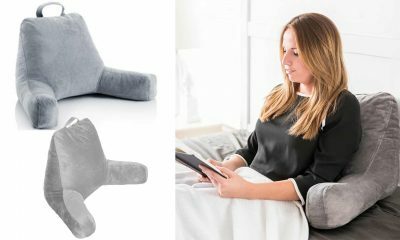 If you have a partner who is a restless sleeper, this may be the perfect choice for you! 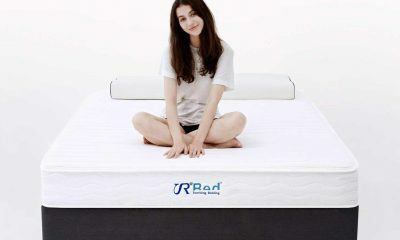 Unlike the open coil mattress, you won’t be so aware of them tossing and turning in the night. Despite being one of the less common mattress options, do not be mistaken, as water mattresses can be a good choice of bed. There are several very positive aspects to sleeping on a water bed. First of all, many people find them extremely comfortable. Like a memory foam mattress, they adapt to the shape and weight of your body, and are excellent at relieving pressure on the joints. Also, water beds provide a unique, wave-like sensation when you lie on them. Many users find this extremely relaxing, so this could be a big advantage if you are somebody who struggles to unwind come bedtime. Even better, many water beds can be heated, which is fantastic for those living in colder climates, and of course are completely allergen free. However, a water bed may not be a good option for users with joint complaints. Although they do not put pressure on your joints, they do not provide them with any significant support. Additionally, despite being quite durable, you must consider the possibility that a water bed could become punctured. The amount of water contained within a water bed is considerable, and could cause enormous damage to floors and ceilings, not to mention carpets. Finally, most retailers do not stock sheets that will fit a water bed. It is highly unlikely that you will be able to walk into a department store and find sheets designed to fit your mattress. Hopefully, you now feel confident about what type of mattress will best suit your needs. Now you’ll want to think about your mattress firmness. You may be wondering why mattress firmness matters. Surely everyone wants a nice, soft mattress? You may be amazed to learn that selecting the correct mattress firmness has a lot to do with the position you like to sleep in! Side sleepers may find a different mattress firmness the most comfortable compared to people who sleep on their backs. So which is the best for your sleeping style? Luckily, our handy guide will take the mystery out of selecting your mattress firmness. Soft mattresses are ideal for people who like to sleep on their sides, as it allows their body to sink comfortably into the bed. Side sleeping is already an ideal position for supporting your back, so you may need less support than other people. Medium mattresses are also ideal for side sleepers, and are particularly suitable if you prefer a little more firmness. Medium/firm mattresses provide an excellent middle ground. Additionally, if you are somebody that shifts positions a lot in the night, this mattress should provide adequate support whatever position you find yourself in. Firm mattresses provide more support to your joints, and are particularly suited to back or stomach sleepers. 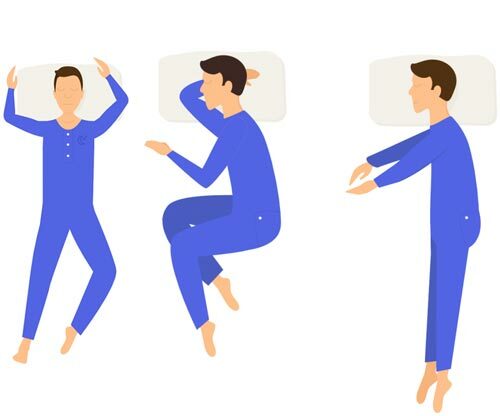 People who sleep like this require more support for their joints than side sleepers. Extra firm mattresses are the best option for sufferers of orthopaedic problems. If you are somebody who frequently wakes feeling sore and achey, this type of mattress could provide the answer! But what if you and your partner have completely different sleeping styles? Is there a solution? In this case, a universal comfort mattress may be the best option to go for. As these mattresses are designed to suit most people, both of you should get a good night’s sleep. There are many different options when it comes to choosing a mattress style, and you will need to take many factors into consideration before coming to a final decision. Here is a handy checklist to make sure you are asking yourself the right questions. 1. Who Is The Mattress For? This is probably the most important question you can ask yourself, as different people have very different needs when it comes to mattress style. For instance, a child will need a much smaller mattress than an adult, and a couple may benefit from extra room in the bed. 2. Will I Be Sharing The Bed With My Partner? This is a particularly important question if one of you tends to fidget, or if one of you is a particularly light sleeper. Many couples find that a standard double does not allow enough space, and find themselves being woken in the night by their partner or spouse. For this reason, nowadays many couples opt for a king size bed to be sure of a perfect sleep. 3. How Large Is The Bedroom? While this may seem like an obvious question, many buyers overlook this vital consideration. If your bedroom space is small, a very large bed may leave you with very little floorspace, not to mention room for your other furniture. However, if you are lucky enough to have a spacious bedroom, a single or standard double may be too small. When it comes to choosing a mattress size, you may not have considered your budget. However, larger sizes are proportionately more expensive. You may well find yourself making a decision between a higher quality mattress in a smaller size, or a larger mattress where you compromise on brand or model. 5. How Big Is My Existing Bed Frame? In order to save money, many people opt to keep their existing bed frame and replace only the mattress. If this is the case for you, you should be sure to check that your new mattress will fit the frame. For most people, a standard size will be a perfectly comfortable fit. However, for people who are very tall, they can find that these sizes simply will not accommodate them. In this case, a larger mattress size may be the only solution. Hopefully now you have considered the important issues that arise when you are finding the idea mattress size. Now it’s time to learn about the different sizes in more detail. Of course, this mattress size is only going to be suitable for small children. This type of mattress may suit your child best if they have a very small bedroom, as it will allow more space for their other things. Some children also find it less daunting to transition from a cot into a smaller bed. However, please take into consideration that your child will eventually grow out of it. If you don’t want to be buying a new mattress in a few years, this may not be the best option. This mattress size is ideal for children and single people who do not mind having less space in bed. Also, these can be a good choice if bedroom space is limited. However, many people find that they feel cramped in a bed of this size. Although this bed can realistically accommodate a couple, space in bed will feel very limited. However, if both of you are sound sleepers, this may not pose a problem. This mattress is ideal for a couple with a small amount of space in which to fit a bed. For most couples, this size will be a comfortable fit. However, for people who are very tall, the size of the mattress may be inadequate. If you are a taller person, chances are you will appreciate the extra space that a king size will offer. As you may have noticed, both length and width are greater than a standard double, allowing you more space in both directions. Bear in mind that you will need enough space in your room to accommodate a king size. With an extra 30cm of width, this size allows the most space possible for a couple. Many people love the feeling of space a super king size gives them, although it is important to check whether the room size is practical for the large area it will take up. I’ve Heard About Different Mattress Finishes. Which Is The Right Choice? 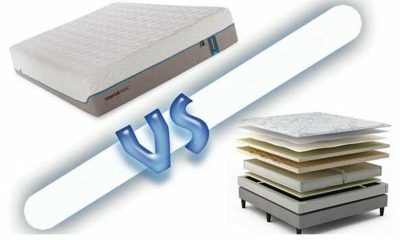 Now that you know which firmness is best for you, there are now choices to be made about how your mattress is finished. For example, you may wish to choose a mattress with handles to make it easier to turn and carry. However, there are also three main ways in which the surface of your mattress can be finished. Read on to learn about the benefits of each of them. Chances are, you’ve slept on a mattress with a hand tufted finish, as it is the most common way for manufacturers to finish mattresses. This gives the mattress a dimpled surface, and if you buy a mattress with springs it is likely it will be finished in this way. Interestingly, a major advantage is that it keeps the stuffing in place, so it is more likely to keep its shape. If you’ve decided to opt for a latex or memory foam mattress, the likelihood is that you will be buying a mattress with a quilted finish. The quilting is stitched to the surface of the mattress, so you may prefer this if you value a smoother surface. If you want an extra layer of comfort, you can opt to have a pillow top finish on any type of mattress. As you may have guessed from the name, a pillowy layer is added to the surface for a softer finish. If you suffer from a joint problem such as arthritis, then we don’t need to tell you that it can wreak havoc with your sleep. Not only can it make finding a comfortable position difficult, but you may be woken in the night by the discomfort it causes. Therefore, it is really important to take extra care when you choose a new mattress, as the wrong one could make your pain worse. However, there’s good news as the right mattress should go some way to helping you slumber in much more comfort! So how exactly can a mattress help with your joint pain? Amazingly, scientific research has shown that the right kind of support from your mattress can really help in reducing your discomfort. Furthermore, the support you give your spine is the key as this will provide stability to all your joints. But what should you be looking for if you have problems with your joints? This can be a tricky choice to make. Luckily, we’ve been doing our research and have put together a wealth of knowledge to help you with this important decision. Here are our top tips. – First of all, remember that everybody is different and that you need to find the best mattress. After all, not everyone is affected by joint conditions in the same way. Whilst reviews and advice for other sufferers may come in handy, you should test different types of mattress in a store to see what feels best for you. 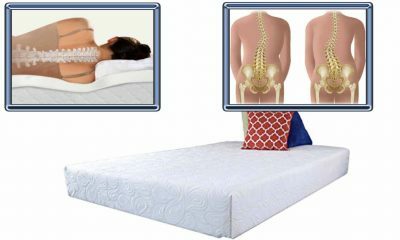 -You need firmness in your mattress because your joints need extra support. Many people find that an extra firm mattress gives them the best support, although you may find a soft topper reduces pressure on your sensitive joints. 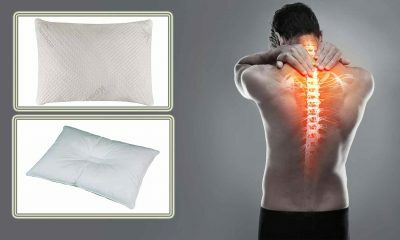 -Consider buying a special orthopaedic mattress, as these may offer you even better support. There are many excellent models on the market, and these have been specially designed with people like you in mind. As we have already mentioned, the position that you sleep in is hugely important when you are choosing your type of mattress. Hopefully, you are now very familiar with the position that you, and your partner if you have one, prefer to sleep in. So which mattress is best for your personal sleeping style? Simply find your favourite position from the list below to find out! Luckily, you already sleep in a position that promotes good spinal alignment. Therefore, most mattresses will suit you, however, we recommend that you select a mattress that is of soft or medium firmness. This will allow you to sink into the mattress comfortably while you sleep. Although this position does give your neck and back some support, you will find that you need a little extra support from your mattress. A medium/firm to firm mattress will help you sleep in the best possible alignment. 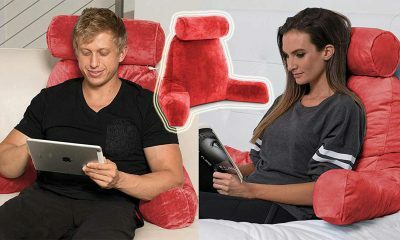 A large pillow placed under your head is also a good idea for extra neck support. Sleeping on your stomach poses a problem as breathing can be restricted, and your neck and back are poorly supported. Therefore, you will need a firm or very firm mattress to provide you with the support you need. Try propping a pillow under your hips instead of your head to promote a healthier spinal alignment. Help! My Partner And I Have Different Sleeping Styles! Don’t worry, there are several solutions to this classic problem. First, you could opt for a universal comfort mattress. These mattresses are expertly designed to suit the needs of both sleepers, so they could be a good compromise. Otherwise, you could look into the possibility of purchasing an air adjustable mattress. 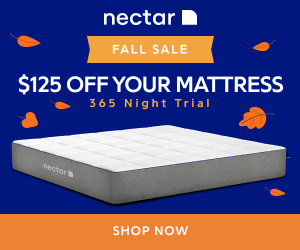 Many of the newer models allow you to us inflation to adjust the firmness differently on each side, so you can both sleep on a mattress tailored to you. 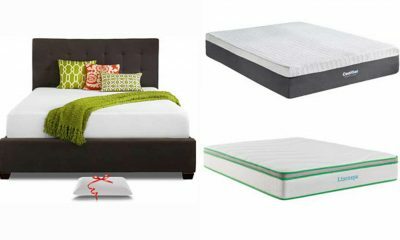 Are Mattress Toppers Worth The Investment? 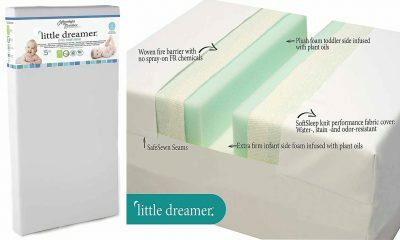 If you’ve just treated yourself to your dream mattress, you may be tempted to splash out on a mattress topper to make your sleep even more luxurious. As you may know, a mattress topper provides an extra layer of padding, many people believe they provide the ultimate in comfort. However, others say they experience little difference using a mattress topper. Whether or not you purchase a topper depends on your personal preference, and if you have already opted for a pillow top finish you will probably not need one. That being said, there are two main reasons that you may decide to treat yourself. 1. A mattress cover may make your bed more comfortable, and they come in a variety of styles including memory foam options. So, if you have opted for a cheaper mattress, a topper may provide a more luxury sleeping experience. In addition, many people with joint problems or pain conditions find that a mattress topper offers great relief from their symptoms. 2. If you’ve just invested in a lovely new mattress, chances are you will want to keep it in tip-top condition. 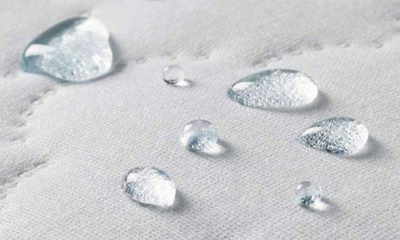 Importantly, a mattress topper offers protection to the uppermost layer of your mattress, so there’s no reason to worry about getting stains on your new bed. 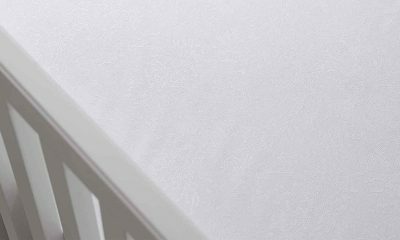 In addition, it’s far easier to clean a topper than a whole mattress, so if you like to keep things exceptionally clean, these can be a worthwhile purchase. Now that you’re the proud owner of a brand new mattress, you’ll want to make sure that you take proper care of it. After all, a new mattress is a major investment, and it’s important to keep it in excellent condition for as long as possible. Additionally, good mattress care can significantly prolong the life of your new bedding. So if you’re keen to clue yourself up on mattress maintenance, consult our helpful guidelines below. 1. First of all, make sure you keep your mattress sparkling clean and dust free. A quick vacuum while you’re doing the cleaning will work wonders, and get rid of any superficial dirt. Be sure to spot-treat any stains with a good stain remover, or you risk them sinking in and becoming tougher to remove. 2. If you want to make sure your mattress wears evenly, you should rotate and turn your mattress every couple of months so that you aren’t putting your weight on the same part all the time. In particular, this is useful if you have an open coil mattress, as it can prevent sagging. 3. When you buy a new mattress, it’s equally important to make sure your bed frame is up to the job. After all, they work as a team to provide you with the best possible comfort. If your bed frame isn’t strong and supportive, you risk your mattress beginning to sag over time. 4. As we mentioned above, a mattress topper can be a worthwhile investment if you want to avoid the risk of spills and stains. Hopefully, your new mattress will last you for many years, and you won’t need to worry about replacing it for a long time. If you follow the care tips above, you can expect your mattress to last you for a long while. That being said, after eight years experts recommend that you think about replacing your mattress, as after this time period it can lose much of its comfort and support. Additionally, it is important to watch out for any changes in your body. If, while you are sleeping on your mattress, you develop a joint issue or dramatically change the position you sleep in, you may find that your mattress unfortunately no longer meets your needs. In that case, you may decide its time to switch to a more suitable mattress. When you purchase your mattress, it’s really important to check the conditions of the warranty, This is a major investment, and you want the peace of mind to know that you will be covered adequately if something does go wrong. Checking warranties can be a minefield, but here is a list of good questions to ask. 1. How Long Does The Warranty Last? You will want to have a warranty that lasts at least the lifespan of your mattress, and buyer beware! A long warranty may sound great, but there may be catches in the contract. 2. What Will Cause My Warranty To Be Voided? Many warranties have several situations in which they will become void. This includes damage caused through spillage, careless use, or using an unsuitable bed frame. Check what the costs will be to you if you have to claim on your warranty. In some instances, you will be liable for fees for things like redelivery, which can be high. 4. What Does The Warranty Say About Sagging? As a rule, the most likely reason that you will want to claim on your warranty is sagging. Although this is not such an issue with foam and latex, many warranties have clauses written in about how they handle claims made about sagging. For instance, often you will not be covered unless the sagging is very severe, even if it is giving you discomfort. Therefore, it is important that you are satisfied that you are happy with the extent to which you are covered when it comes to sagging. As you will have realised from reading this guide, there are many factors that go into selecting and purchasing a new mattress. Factors such as firmness, finish, filling and price all have a part to play in helping you make this important decision. However, we are sure you will agree that it is worth the time and effort to choose a mattress that suits you, especially if you suffer from joint problems. After all, it is hard to place a value on a really exceptional night’s sleep. With our helpful tips and tricks at your fingertips, we are sure you will be able to select the perfect mattress for you with confidence, and be well on your way to more comfortable and refreshing sleep. With proper care and attention, you can make sure that you make the very most of your new investment, enjoying sleeping on it for many years. Enjoy the comfort of your brand new mattress, and happy dreams!